What is workplace diversity, and how can it be promoted? Bengaluru,India - Fourteen multiple choice questions on a paper titled “Your Diversity Biodata”. And, a motley group, representative of generations ranging from Baby Boomers to Millennials, answering them individually and then comparing their answer sheets. The similarities and differences in their responses formed an interesting tapestry. 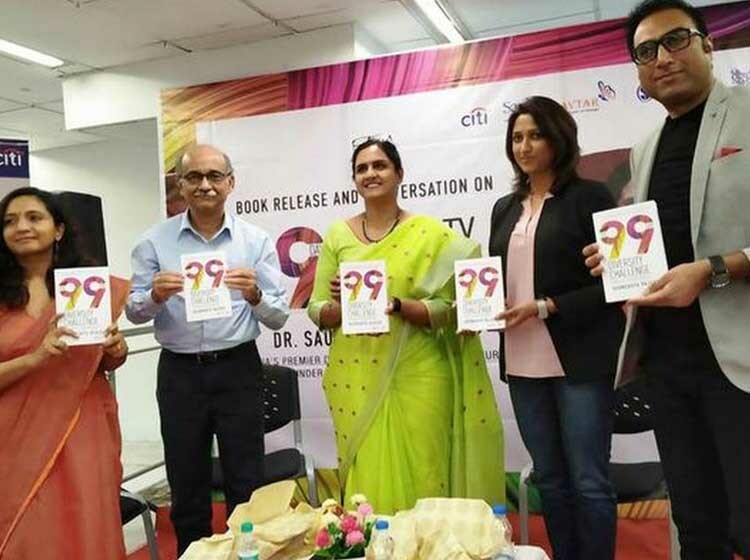 This brief exercise, which preceded the launch of The 99 Day Diversity Challenge, at Sapna Book House in Bengaluru, served as a warm-up to the panel discussion that took place later on. Saundarya Rajesh, author of the book, who is known as the pioneer of second-career opportunities for women in corporate India, was joined by a diverse panel — Smriti Singh, chief human resource officer, Flipkart; Sudheesh Venkatesh, chief people officer, Azim Premji Foundation; Anita Kumar, head solutions at Sattva Consulting; and Srini Ramaswami, diversity and belonging evangelist. The theme “What are the diversity pushbacks and how to overcome the inclusivity barrier in organisations?” seemed to run through the discussion. “D&I is not a level-playing field,” said Anita Kumar of Sattva Consulting, an organisation that works towards solving socio-economic problems. For an organisation, there were costs associated with bringing women to a certain level, she said. “An employer does not want to invest unless they are sure to see some returns. So, it comes down to who can bear the cost,” said Anita. Smriti Singh, chief human resource officer, Flipkart, felt that in certain organisations beneficiaries push back because they are intimated by men. “Also, the desire to move up should come from the beneficiary. A lot depends on the mindset of the person,” said Smriti. Saundarya Rajesh said diversity pushbacks need not necessarily arise from the leader or management, it could even sprout from the very people who are the beneficiaries. “The attitude of maintaining status quo in every situation can hamper the growth of D&I,” she said. To a question on whether diversity should move to the realm of corporate social responsibility, the panellists were against it. They said D&I cannot be viewed as an extension of CSR. “We need a social campaign to get more women to join the workforce, but not part of a CSR exercise,” said Anita. On the book that was launched, it presents 99 stories, anecdotes and thought blogs and sequentially unravels the meaning of Diversity and Inclusion (D&I) and how it can be absorbed by everyone.